In the 90s the corps were facing a bit of a budget shortfall and weren’t sure they could afford all the training exercises they deemed necessary. Two exceptionally lucky employees were then asked to play video games as their job, to find one that could perhaps supplement training. 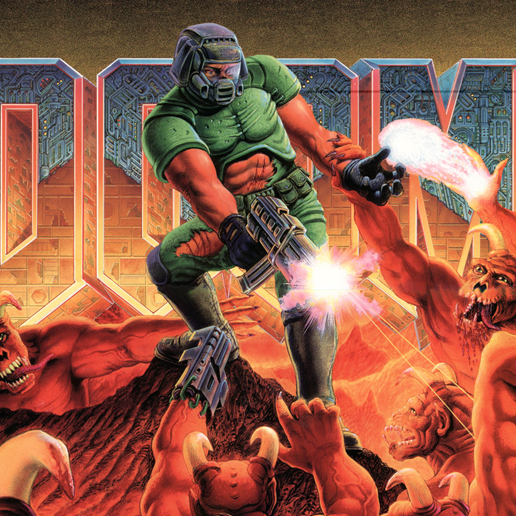 The two (presumably after repeated missed deadlines and requests for just one more turn) settled upon Doom – the game is about marines fighting off evil and it had multiplayer options. The game was heavily modded – the demon enemies were replaced with models that America was more likely to face on the battlefield. The weapons were made to look more similar to standard issue marine corps ones. It was, of course, a game, and it couldn’t take the place of real training. But it encouraged recruits to practice teamwork and fast thinking skills. Read more about the history of the game, and find out how you can play it over here.